Erzullie Fierce Plus Size Fashion Philippines: PLUS SIZE EVENT: #ERZULLIEINROCKWELL TOMORROW! We are so pumped up for #ErzullieInRockwell tomorrow! 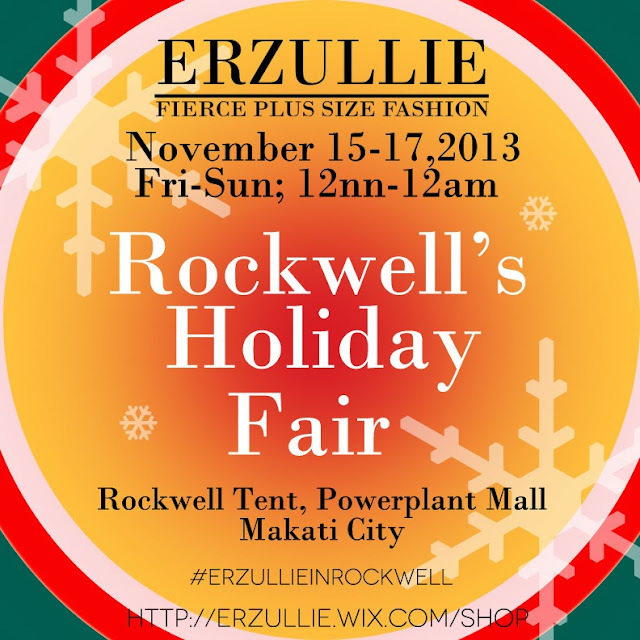 We’ll see you, ladies at the Rockwell’s Holiday Fair, Rockwell Tent, Powerplant Mall, Makati City on November 15-17, 2013 (Friday to Sunday; 12nn-12am)! Enjoy shopping your fierce plus size fashion with free personal shopper service and 50% off on selected items!